US equity indexes closed broadly higher, sp +12pts @ 2204 (intra high 2209). The two leaders - Trans/R2K, settled higher by 0.4% and 1.8% respectively. 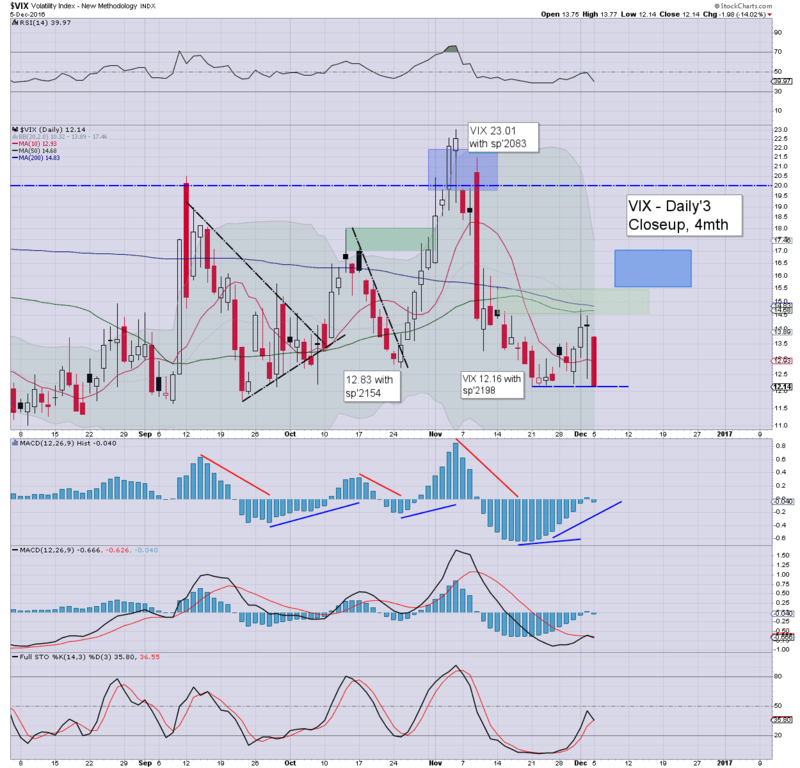 VIX settled -14.0% @ 12.14. 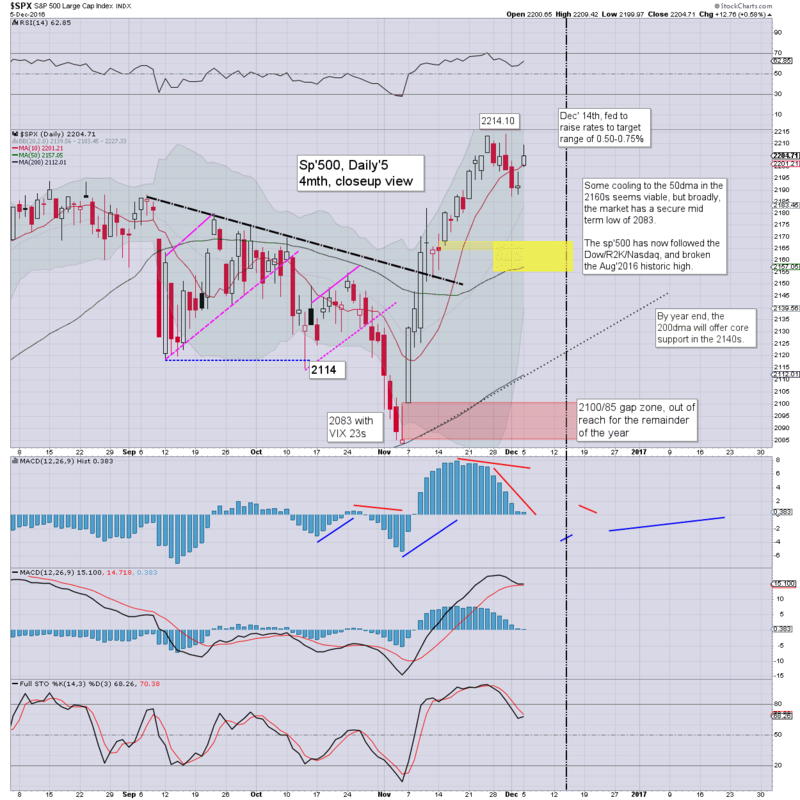 Near term outlook offers high threat of a retrace to the 50dma in the sp'2160s. Broadly though, the market is super strong, as reflected with today's new historic Dow high. Despite the resignation of Italian PM Renzi, the US market managed to reverse overnight declines, and open moderately higher. 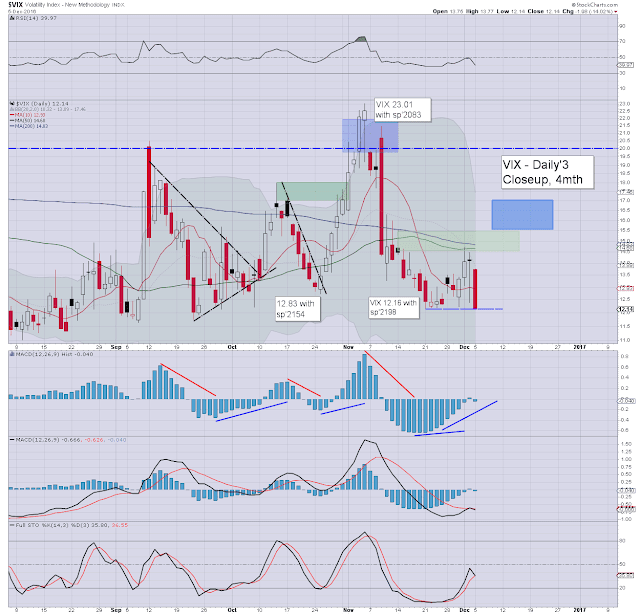 Indeed, with the uncertainty of the Italian and Austrian votes out of the way, the VIX was crushed back to the low 12s. For now, it still seems highly probable that the market will see some cooling to the 50dma in the sp'2160s.. which should (in theory), equate to VIX 16/17s. 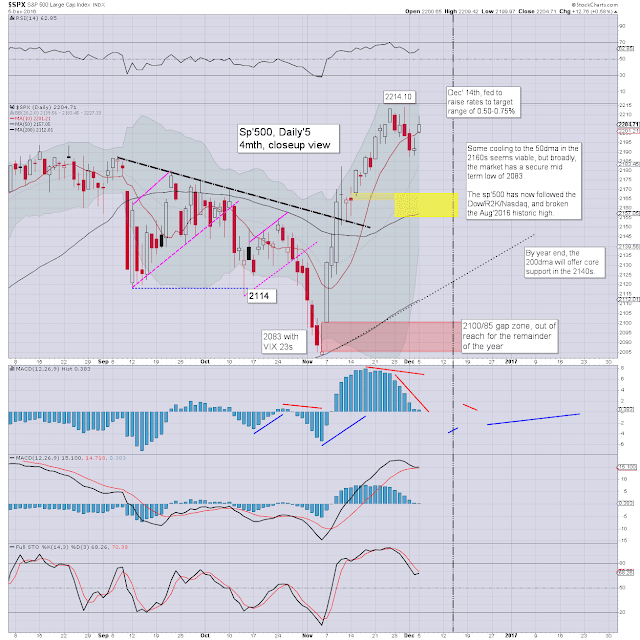 The key 20 threshold looks out of range for the remainder of the year. A new historic high of 19274, as the Dow is almost 1000pts above the key 10MA. 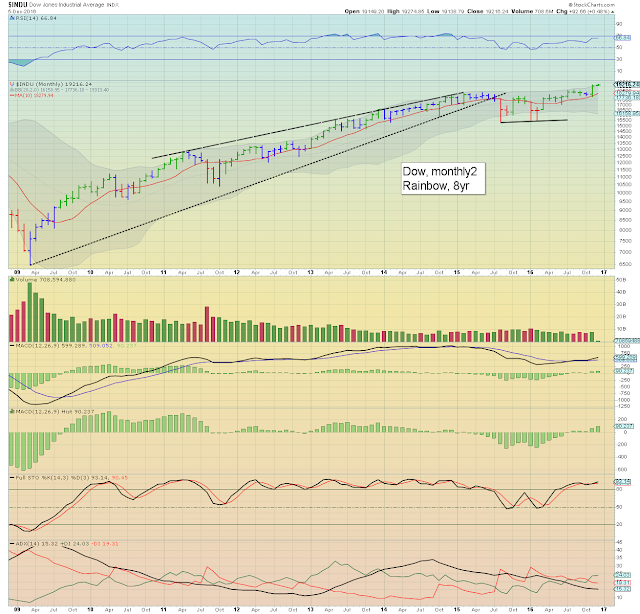 The upper monthly bollinger around 19300 will keep the market pinned below 20k into year end. However, does anyone seriously think we're not going to see the giant psy' level of 20k hit early next year?